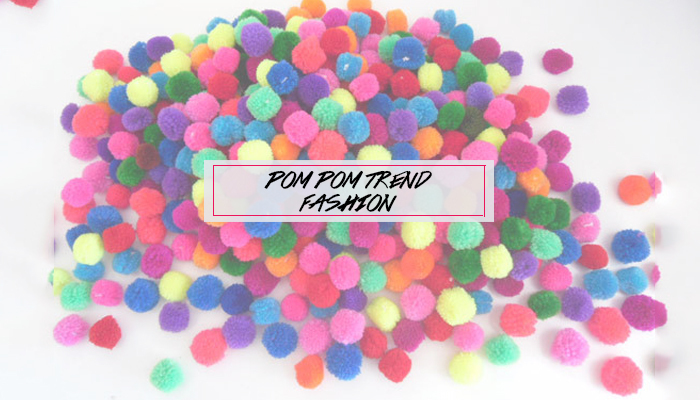 I’ve been seen this pom pom trend popping up quite a lot lately. It’s EVERYWHERE and its on EVERYTHING – on shorts, playsuits, sandals, bags… you name it. 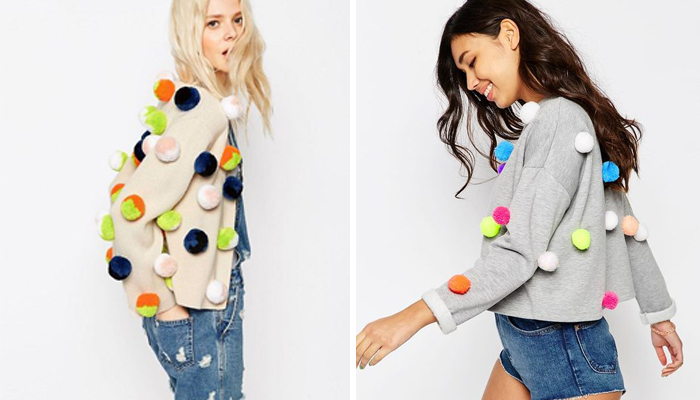 The pom pom trend adds a very boho vibe and while I like it on shorts and do own a pair of shorts myself with pom poms, I’m not too sure about the pom pom on clothes (like the ones below) and on shoes. I feel it looks a tad tacky on both the clothes and the heels. But on sandals? Yesss it’s kinda cute. Especially for the summer. 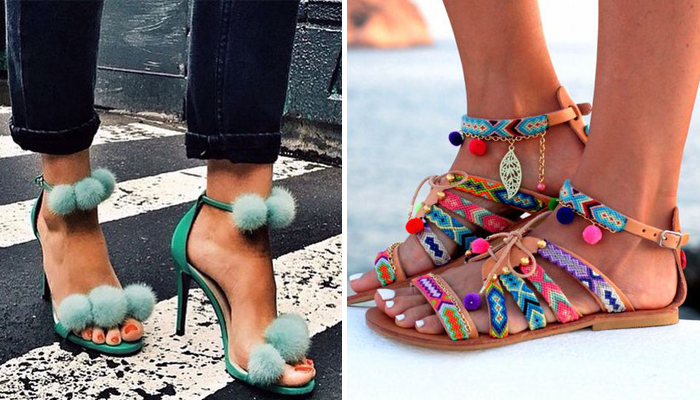 I feel the pom poms would dress up what would otherwise be some plain ordinary sandals. It also adds a pop of colour and a dash of playfulness. I’m curious to hear about your thoughts on this. It definitely adds a very ‘boho’ vibe but I’m not sure I’m all that convinced with this trend when it comes to clothes and heels. Who knows, maybe I’ll come to like it while it gets into summer and I see it popping up more?! Are you yay or nay?